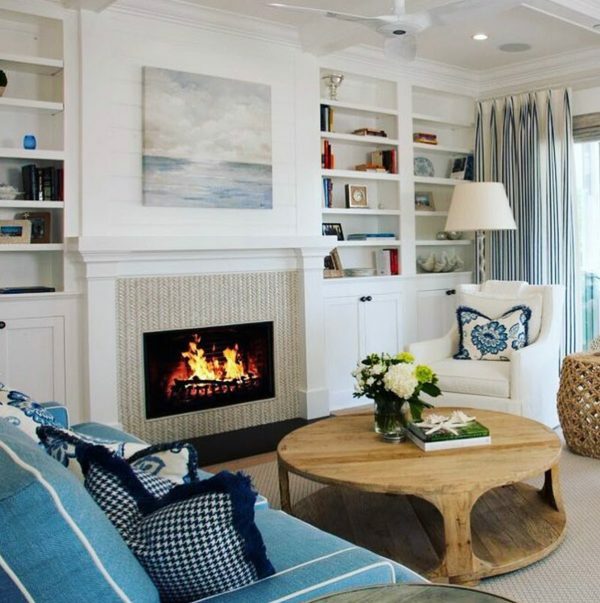 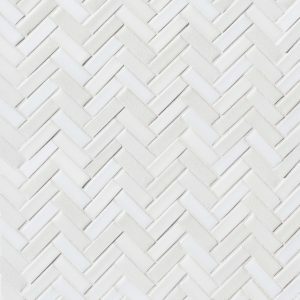 Mini Herringbone is ordered by the square foot. 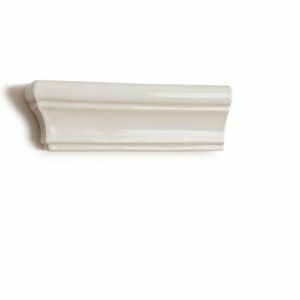 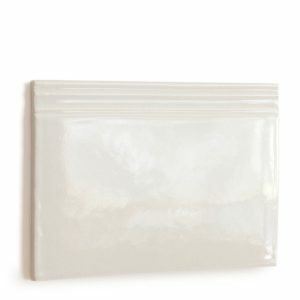 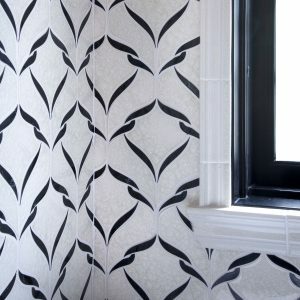 It is assembled into sheets approximately 10 3/4″ by 13 1/2″ wide (1.01 square feet per sheet). 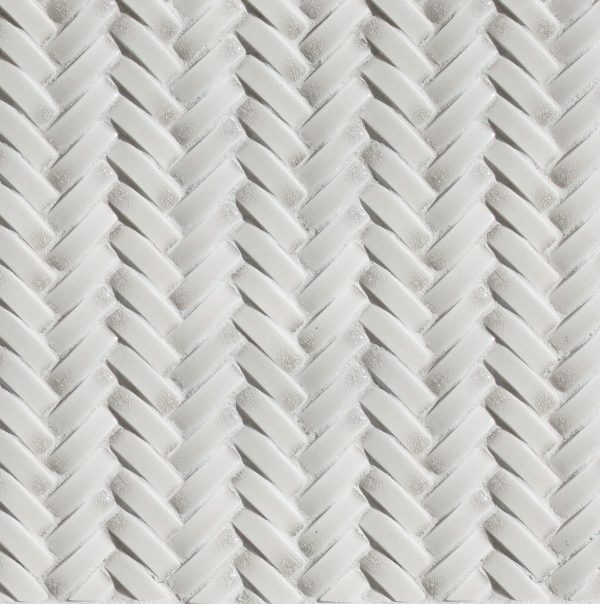 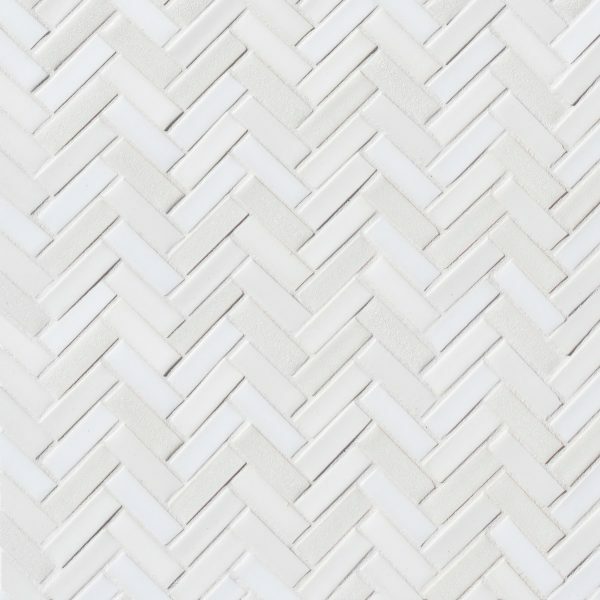 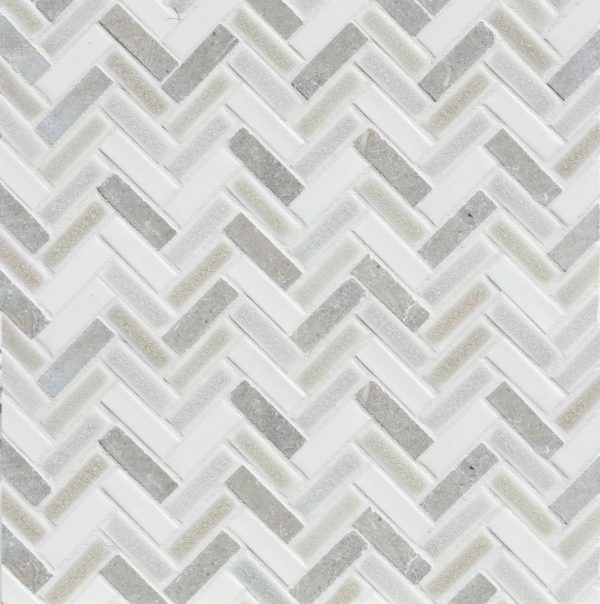 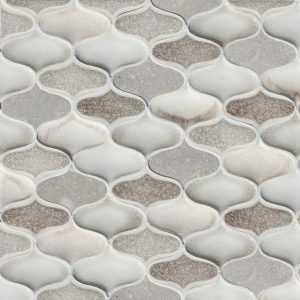 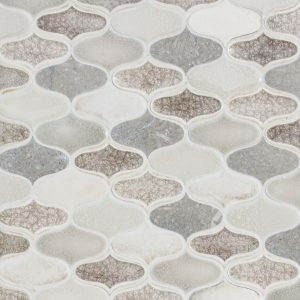 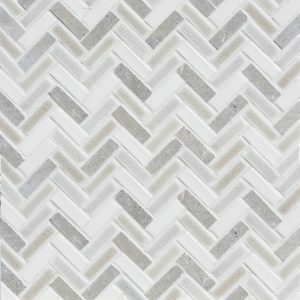 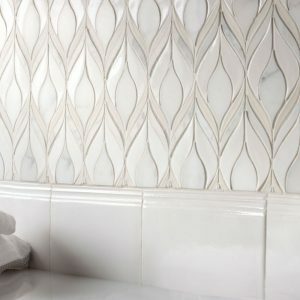 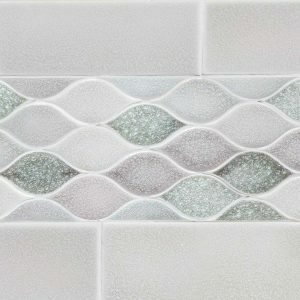 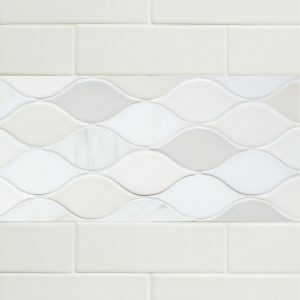 Mini Herringbone mosaic is shown here as a dimensional option in Silver crackle glaze. 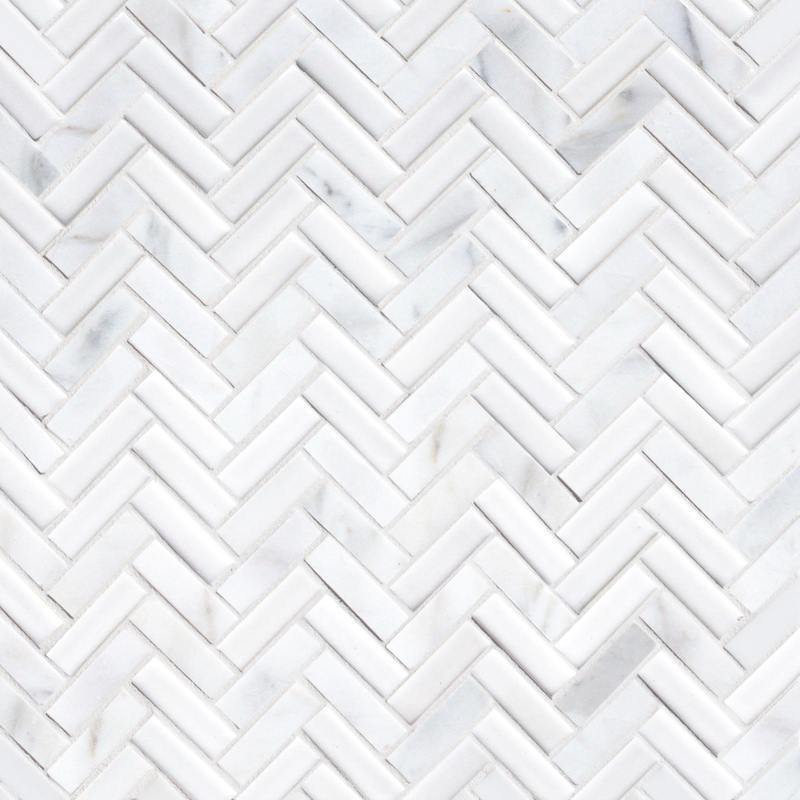 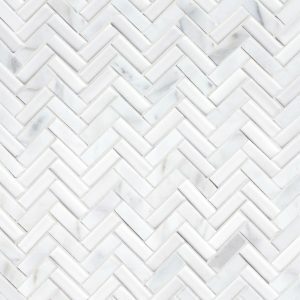 Mini Herringbone is shown here in Milk gloss and Calacatta marble. 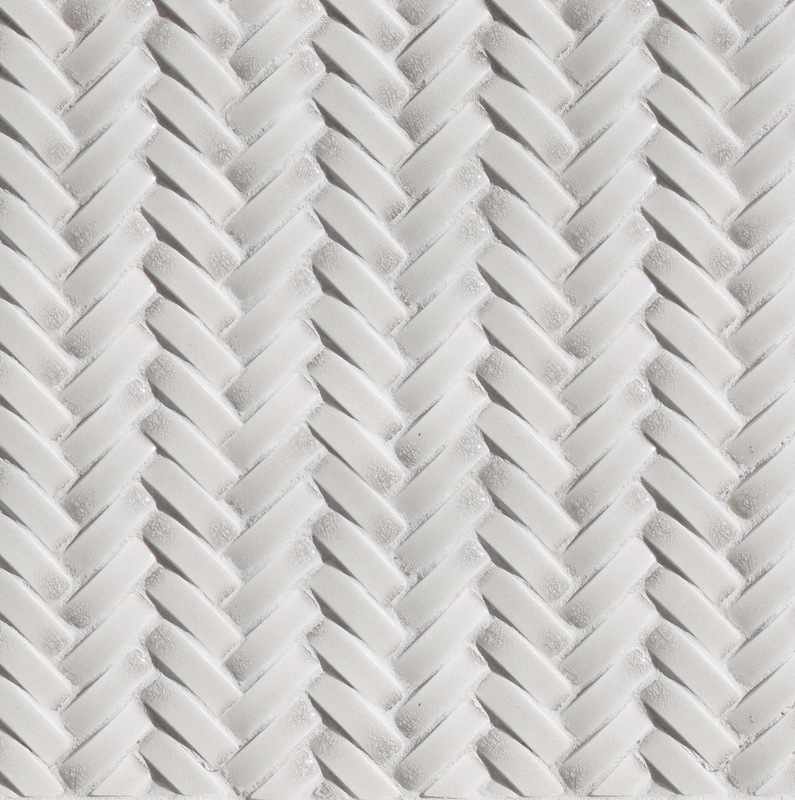 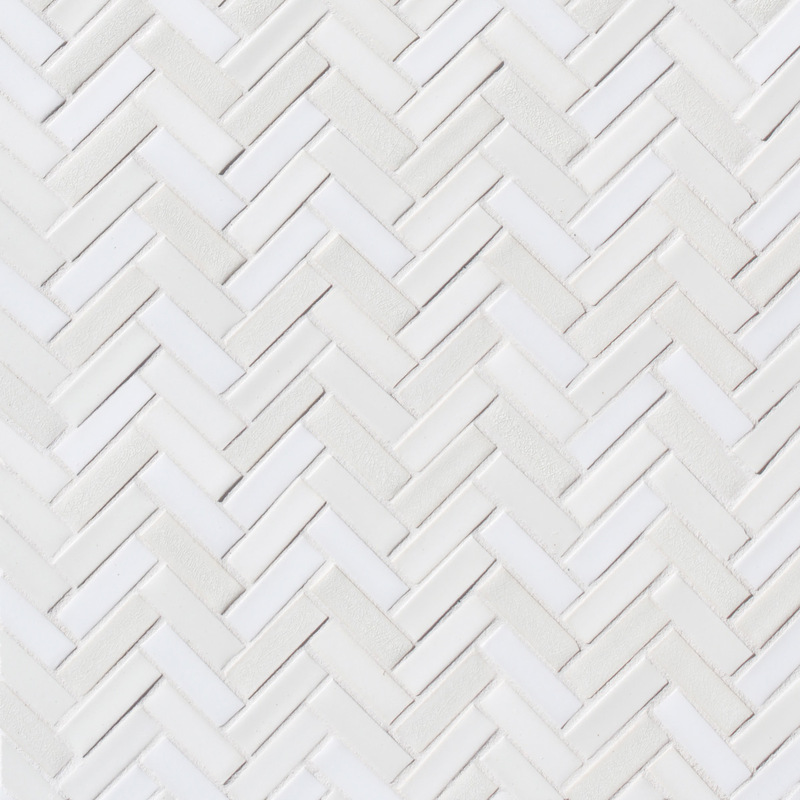 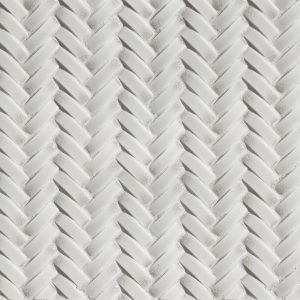 Mini Herringbone is shown here in Loveland color blend: Moonlight crackle, Milk gloss, Brie gloss, Bianca matte. 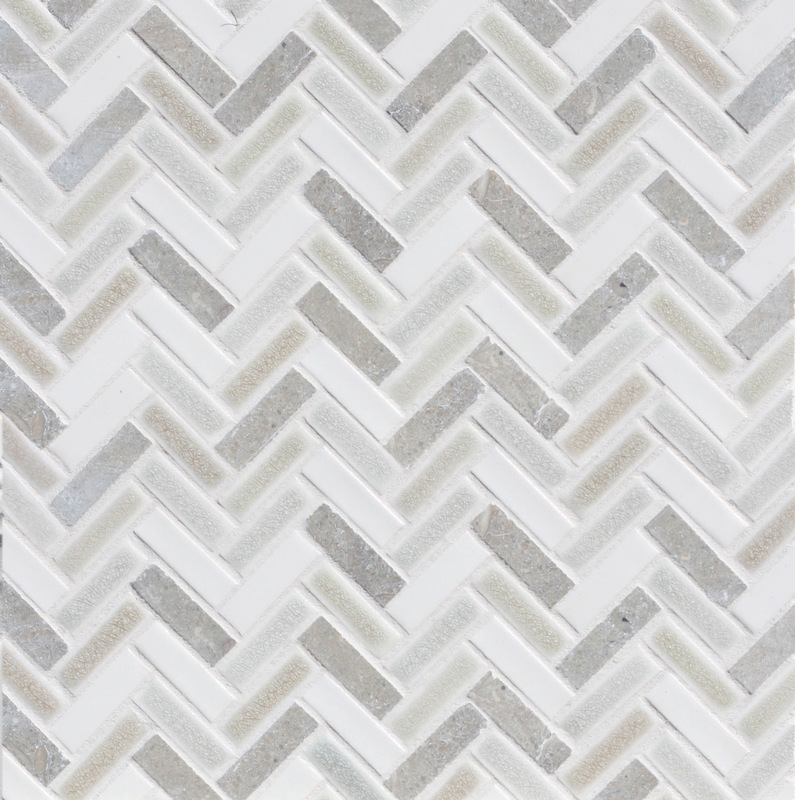 Mini Herringbone mosaic is shown here in Seagrass 162 color blend: Seagrass stone, Silver crackle, Smoke crackle and Brie gloss.